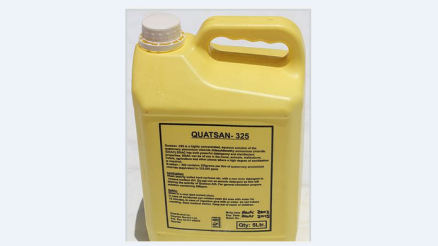 Quatsan-325 is a highly concentrated aqueous solution of the quaternary ammonium chloride didecyldimethyl ammonium chloride (DDAC). DDAC has both powerful detergency and disinfectant properties. DDAC can be used at home, schools, institutions, agriculture and other places where a high degree of sanitization is required.